Yes! 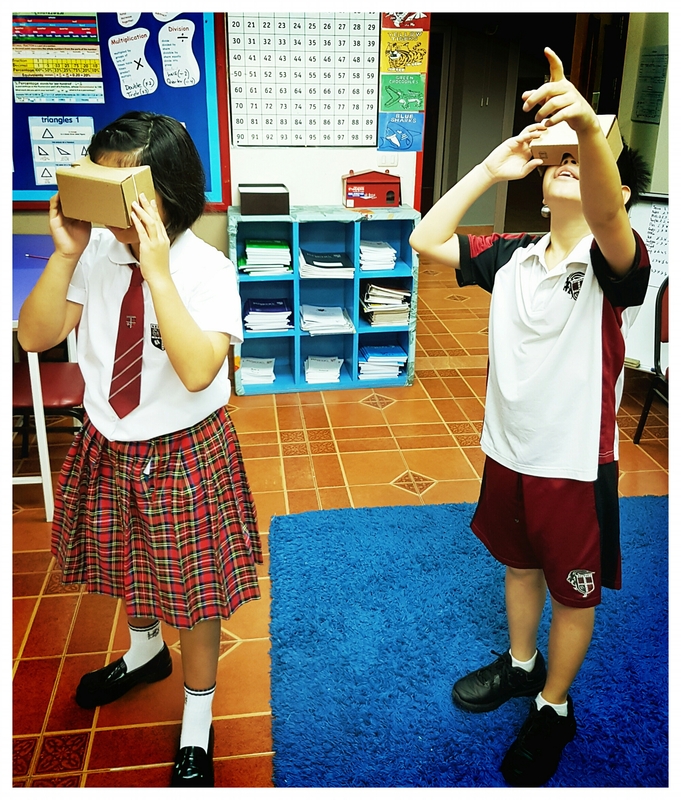 You need VR viewers for your students (you can easily purchase them from Amazon), mobile phones (fairly up to date iPhones or android phones work perfectly well) and the Google Expeditions app downloaded on to the devices. Finally, you are not restricted to visit to just geographical places; you can also explore inside a human heart, a film studio, the moon and lots more! Have a go. Let me know how you get on by commenting below. Previous A creative art lesson: Enter The Doodle 4 Google Contest! Next Reluctant writers in your class? Engage them with Pokemon character reports. Did the students use their own mobile phones? Do you have open wifi? What age groups are involved? Did you have any issues? We are likely to order a set, but I’m keen to cover all bases beforehand. Thanks. That’s very helpful, thanks. 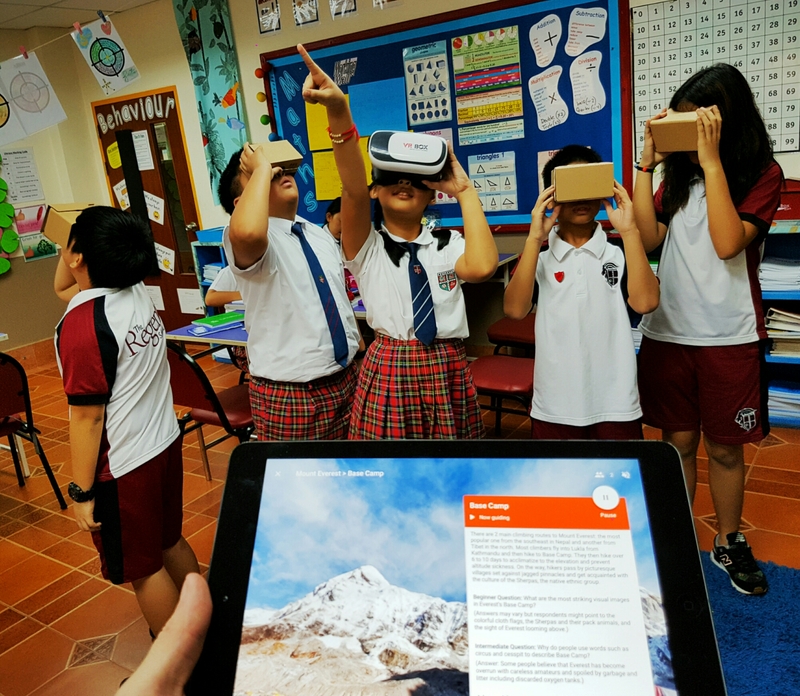 One final question: were there any issues in getting the Google Expeditions app to their phones i.e. did you need parental permissions to do this etc, were any students resistant to downloading it? No, I just asked them to download it the week before. Interesting. What did you have to buy? I am checking out their kits and they seem rather expensive. Looks like you can make some of this stuff though. Hi, I teach first grade so my students do not have phones yet, but we have iPads in our classroom. Do you think it would be too hard to use with an iPad versus a small iPod touch? Is this something the student would have told while standing? There is the option of using this with iPads, you just have to load the app. I’ve used it with 2nd and 3rd graders since they didn’t have phones and it was a tremendous success! They got lost in the trip even without the viewers. The experience is more impressive with viewers, but this was leaps and bounds above nothing, or just watching a movie. I tried it on our mini iPads this week and it worked under our school wifi! Do all the phones have to be of the same system? iOS or android? Mine will probably be mixed but I really want to do this!!!! My kids are 12 years old, do you think it’ll work? Hey Alexia, mixed are fine, they just have to be on the same WIFI. Hi Everyone! Visit my website for all your Virtual Reality needs at a very good price. Along with other things that can help you or your community as you all prep for the next wave of learning. We had Google Expeditions team come into my school, and are exploring this further now. We bought cheap headsets for a few pounds from eBay and students need the app on their phones. I’m preparing a unit on Virtual Geography for later in the year, and will add your blog post to a list of sources if that’s OK.